My wife stayed in a restaurant while I was on the bridge and shooting with a mini-tripod the hot spot of Prague. 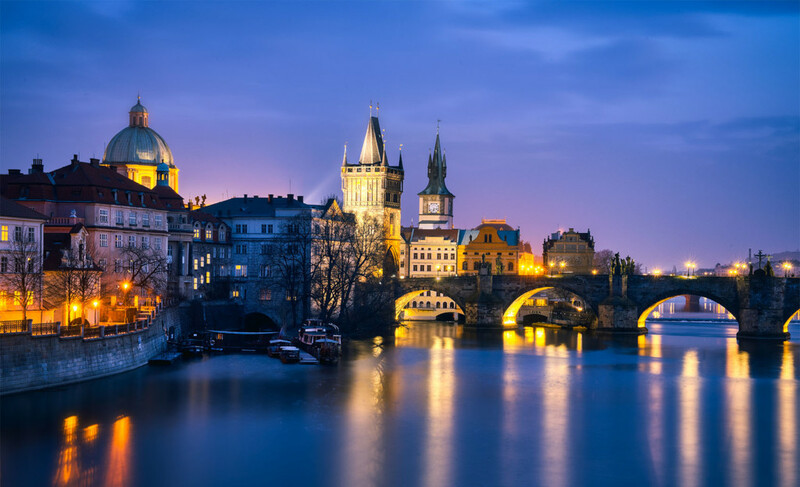 The Charles Bridge, the begin of the old town, the Old Town Bridge Tower and the promenade and park beneath the Vltava River, all on one photo and illuminated in good weather. What a lucky day.